Go green, but go wisely. "A teal with navy undertones will keep your hands from looking like they're freezing," says Johnson. 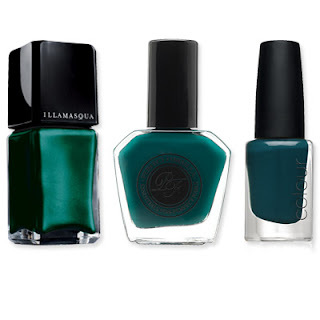 Illamasqua in Viridian, $14; sephora.com. Perfect Formula in Pop, $15; perfectformulas.com. CND in Urban Oasis, $20; CND.com.